A flat or blown tire is every mom’s worst nightmare – especially when their children are in the car. This article will discuss what can be done to prevent tire damage and common causes for this occurrence – including potholes, excessive speed, under inflation, over inflation and impact/road hazards. Jamie: “Your vehicle’s tires are the only thing between you and the road”, kind of a dramatic statement but true. In the early days of driving, tires were made from solid rubber to provide a bit of traction. As vehicles became faster and more powerful, air-filled tires became the standard and after many improvements in materials and design, they are still in use today. Tires perform a number of different functions and do so in a fairly hostile environment such as large fluctuations in temperature, changing road surfaces, high loads, bumps, potholes and UV radiation from the sun. 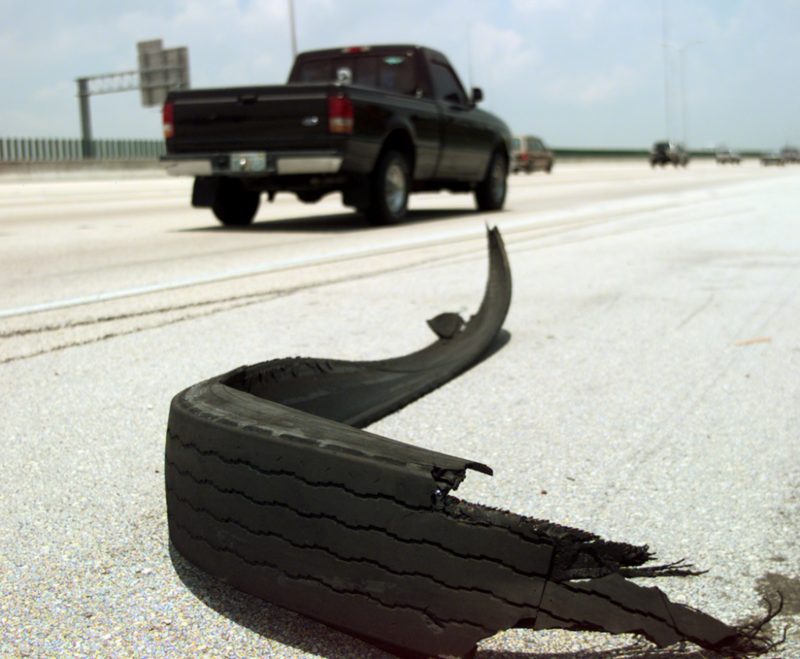 Tires are responsible for supporting the weight of the vehicle, its occupants and their cargo. They need to provide good contact with the road under rapidly changing conditions such as rain, snow and ice. They also need to do these things while providing comfort to the occupants and last a reasonable length of time. Tire life can be shortened by a number of factors. The main reason for premature tire failure is under-inflation. Tires that don’t have enough air in them can cause poor handling, longer stopping distances, increased fuel consumption, reduced load carrying capacity of your vehicle and in severe cases failure due to overheating. Monitoring tires pressures is a relatively simple process that can be performed by almost any vehicle driver/owner. There are times when hitting potholes, storm drain grates and manhole covers are unavoidable. However, reducing the speed at which you drive can greatly reduce the damage they can cause. Another thing to avoid doing is bumping curbs and parking stones while parking as this can cause damage to the tire sidewall, resulting in a weak spot with a corresponding bump or bulge in the sidewall of your tire. Maintaining correct tire pressures and avoiding obstacles when possible will go a long way to making sure that your tires will perform as designed and give long reliable life. Stop by your local Master Mechanic to have your tires inspected to ensure peace of mind motoring.